Respected testing lab AV-Comparatives ranks AVAST as the most popular provider of both mobile security and antivirus protection in North America, South America, and Europe, and gaining in Asia. The rankings came from the fourth annual global survey released at the end of February. In the survey, AV-Comparatives states that internet usage among home and business users is growing, but how people access the internet is changing. Smartphone and tablet sales have increased, while laptop and desktop sales are on the decline. This means that the focus of cybercrooks is changing too. Mobile device owners are steadily realizing that the threat to their security is increasing. The survey confirms that the amount of mobile devices protected by security software is significantly lower than that of desktop devices, especially in North America. avast! Free Mobile Security holds the #1 position in North America, South America, and Europe, and ranks third overall in Asia, after only being in the region for a short time. Download avast! Free Mobile Security for your Android device from the Google Play store. 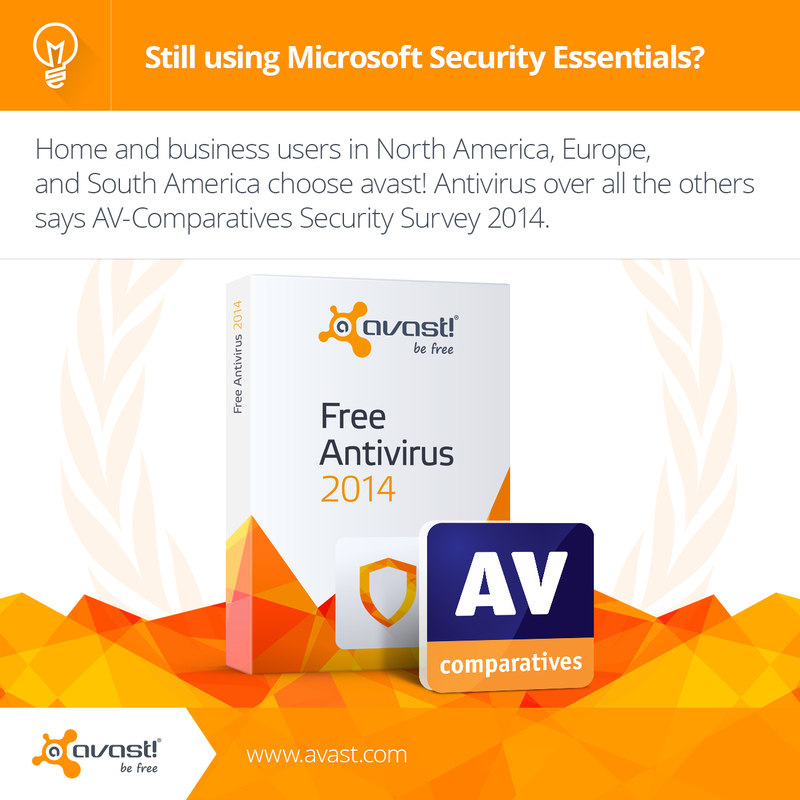 In North America, AVAST dominated the antivirus list while Microsoft fell two places to third position. “Microsoft previously regarded their own security program as a “baseline” and encouraged users to install third-party solutions,” said AV-Comparatives editors.We suggest that you use one of AVAST's security products instead of relying on Microsoft Security Essentials or Windows Defender. Make sure your laptop and desktop computers have full protection. Download avast! Free Antivirus now.